Just arrived in stock we have a superb Porsche 911. 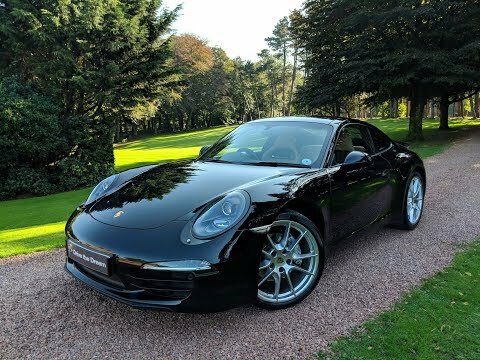 We have never seen one with these seats before and they really add to how special this car feels, Carbon Bucket Leather interior package in two-tone combination, Porsche Doppelkupplung (PDK), Other notable extras include but are not limited to Sports exhaust system £1,773, 20-inch Carrera S wheel £971, Bi-Xenon main headlights in black including PorscheDynamic Light System (PDLS) £894, Metallic Paint £801, Porsche Entry & Drive £801, Preparation for mobile phone £445, Tyre-pressure monitoring system £437, Multifunction steering wheel £356, Seat heating £320, Rear wiper £234, Electric folding exterior mirrors £202, Power steering Plus £178, Porsche Crest embossed on headrests £138, Luxor Beige Bi-Colour Leather. This car arrived directly from a previous client and car enthusiast and together with such a special and rare specification this is a must for any short list.